Smoke Jensen and his adopted son Matt are cooling their heels in Colorado when they are called to the Dakotas. Preacher, the legendary mountain man, is in the midst of a vicious struggle. Someone has kidnapped a proud Indian chief’s daughter and grandchild. When the kidnapping turns to murder, and Preacher vanishes after clashing with a ruthless Union colonel turned railroad king, Matt sets out to infiltrate the Colonel's gang of killers. 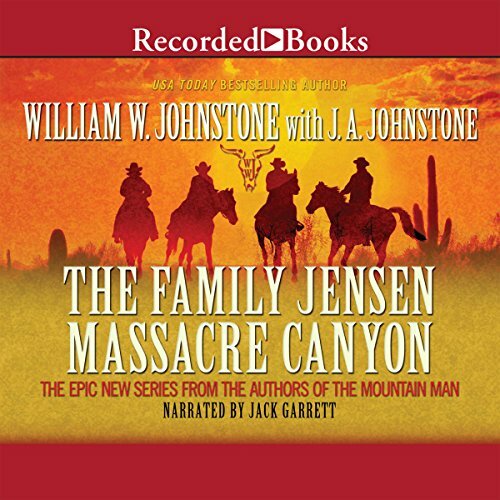 Western icon William W. Johnstone, author of the acclaimed Mountain Man series, teams with J. A. Johnstone for this tale that brings together three of his most popular heroes. Preacher, Smoke, and Matt comprise the Jensen family - three generations of legendary frontiersman. 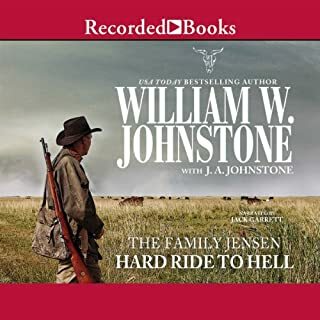 When a ruthless cattle baron brings a small army of hired guns to Preacher’s neck of the woods, it falls to the Jensens to stand tall and return fire. And they intend to fight to the last man, because the Jensens never back down from a fight. 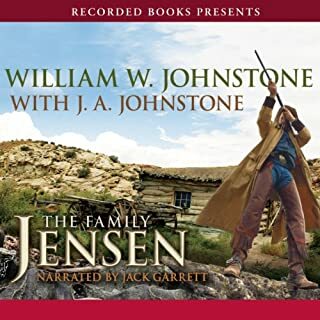 For the first time, an epic account of a boy born into a struggle for survival on the harsh and unforgiving American frontier, the story behind the legend of Smoke Jensen.... On the eve of the Civil War, Kirby Jensen is the youngest of three children living on a hardscrabble ranch in Southwestern Missouri. But in 1861, shots were fired in Charleston harbor, and Kirby's father and brother went to war. 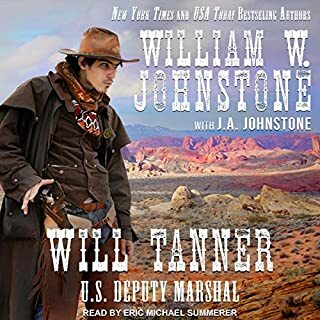 After spending most of his young life driving cattle from Texas to Nevada, Will Tanner is ready to wash the trail dust from his throat. Maybe it was fate that brought him to the Morning Glory Saloon on the border of Indian Territory - or just plain bad luck - because right after his sits down three rough-looking characters walk into the bar with vengeance in their eyes, guns at their sides...and fingers on their triggers. The trio's target is the famous US Deputy Marshal Dove who arrested one of their kin - and who's sitting in the bar near Will Tanner. The Scottish Highlands, 1885. Two men, brandishing knives, attack a young woman outside a pub. Duff MacAllister steps in and saves her - killing one of the assailants. Big mistake. The attacker was the sheriff's son, and now MacAllister is marked for death. His only hope: America. Here, in the sprawling land of dreams, Duff hopes to start a new life with his American cousins. Unfortunately, the sheriff's deputies are tracking him down - with nine of the deadliest cutthroats money can buy. The first story in a fiery new series about the west's most dangerous boomtown, and the reformed outlaw who risks his life to keep it safe....In the dark shadow of the Prophecy Mountains lies the ramshackle town of Rattlesnake Wells, where dreamers come to make their fortunes, and desperados come to die. The streets of this little settlement are slick with mud and stained with blood, and it will fall to Bob Hatfield to sweep them clean. The town marshal, Hatfield, has a young man's face, but his eyes are those of a killer. He is a good man, but he has a secret that weighs on his soul. 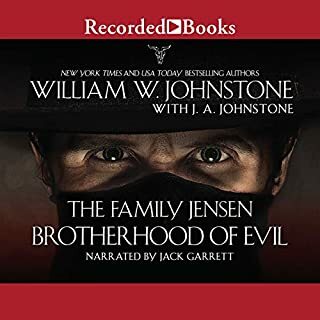 Their father is Luke Jensen, supposedly killed in the Civil War. Their uncle Smoke is one of the fiercest gunfighters the West has ever known. It's no surprise that the inseparable Ace and Chance Jensen have a knack for taking risks - even if they have to blast their way out of them. Chance is a bit of a hothead, good with his gun and his fists. Ace is more of a thinker, sharp as a snake bite and just as deadly quick. Luke Jensen, Bounty Hunter is the first in an exciting new series starring Smoke's long-lost brother. During the Civil War, Confederate soldier Luke Jensen is ordered to smuggle gold out of the city - but he ends up robbed and shot. Taken in by a Georgia farmer, Luke slowly recovers. Though he plans to rejoin Smoke, a budding romance with the farmer's daughter delays his departure - until a tragic event changes everything. When "Preacher", the last gunfighter, catches wind that a lady from his past has been murdered in St. Louis, he is enraged. It's time to leave the wilderness and head to the big city to exact some revenge. Matt Jensen, reared by legendary mountain hero Smoke, is the last of a proud breed. He will soon learn that dispensing justice with a gun is the only true way to execute righteous revenge in the Old West. Meet Hunter Buchanon, a towering mountain of a man who learned how to track prey in Georgia, kill in the Civil War, and prospect in the Black Hills of Dakota. Now he's trying to live a peaceful gun-free life - but fate has other plans for him. When Hunter Buchanon rescued a wounded coyote pup - and named him Bobby Lee - he had no idea the cute little varmint would grow up to be such a loyal companion. With Apaches on the prod, ex-cavalry sergeant Sean Keegan, bounty hunter Jed Breen, and ex-Texas Ranger Matt McCulloch take shelter in a West Texas way station - along with a hot-as-a-pistol female bound for the gallows, a spiteful newspaper editor, and a coward with $50,000 who promises them five grand if they'll deliver his blood-soaked stash to his wife. Turns out, Indians might be the least of the problems for the trio, soon to be known as the Jackals. The loot's stolen property of the vengeful Hawkin gang, and these prairie rats are merciless, stone-cold killers. Crater City, New Mexico, is a bustling mining town brimming with the stench of men hungry to get rich the old fashioned way - by killing the competition. 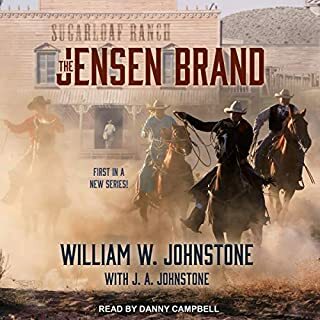 Dennis Conroy is the owner of the biggest saloon in town, and he needs a few good sharpshooters to help protect surveyors laying out a route for a spur line before his rival Hugh Thornton beats him to it. Joe Buckhorn's handy with a gun, so he takes the job. Against his best advice, he'll also take a liking to the boss's daughter. Worse, Buckhorn starts wondering exactly what kind of man he's working for. As a teenager, John McMasters won the Medal of Honor as a sniper for the Union Army during the Civil War. Thirty years later, McMasters lives a peaceful life in the Arizona Territory, raising a family and running cattle. These days, he needs eyeglasses to hit a distant target. But that doesn't stop his wife and four children from buying him a special present for his 50th birthday: a beautiful new Remington shotgun. Turns out, he's going to need it....The Butcher gang has come to town. By the time McMasters learns of their arrival, they've invaded his ranch and slaughtered his family. Framed for murder, Dewey "Mac" McKenzie is running for his life. Though Mac's never even made a pot of coffee, he talks his way onto a cattle drive heading west as a chuckwagon cook. Turns out he has a natural talent for turning salt pork and dried beans into culinary gold. He's as good with a pot and pan as he is with a gun, which comes in handy on a dangerous trail drive beset with rustlers, hostile Indians, ornery weather, and deadly stampedes. Mac can hold his own with any cowboy twice his age. At least until the real showdown begins . . .
Brothers by blood. Brothers by battle. I'm a huge fan of the Jensens. I've read Mr. Johnstone's work for the past 15 or twenty years. Never have I seen them, ( The Jensens) all of them get beat up and manhandled as much as in this book. Smoke is a Shootist. One of the most exciting I have had the pleasure to read about and follow his exploits. Preacher has no peer, He's just Preacher, no nonsense, loves Smoke and the High Lonesome. Matt is like a grandson to him. Matt is the upstart, making his rep. The best part of this selection was, that Luke is now, reintroduced in the family. Nobody beats smoke in a gunfight. There was not enough that. Preacher's intro was better. As I said Preacher is just Preacher. Not enough action. And the Jensens do not get manhandled. very good read. 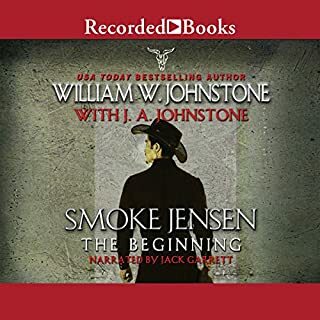 The Smoke Jenson books keep you interested clear through. The action starts right off and stays clear to last chapter.